a notable tour as it’s the 70th year of the creation of the state of Israel'. Amongst the sites visited were the Tomb of Lazarus from where the Lord Jesus commanded Lazarus out from death and the grave, and the ancient Migdal Synagogue- one of the oldest synagogues in Israel. ...the seventieth anniversary of the state of Israel and the United States’ historic move of its embassy from Tel-Aviv to Jerusalem, a move lauded as an official recognition of the Holy city. The tour by Pastor Chris and his team was indeed significant with the events that have fulfilled biblical prophecies. On his arrival to the Holy Land of Israel, the BLW President Rev. Dr. Chris Oyakhilome expounded profoundly, high expectations for the tour to the Holy Land this year 2018, which in his words is 'the very notable 70th year of the creation of the state of Israel'. The man of God, in the featured video, said: “…beyond the anniversary there is so much to learn in Israel, we have four different tours and we are going to be looking at different parts of the tour sites, learning bible Israel and Israel of the bible and then of course looking forward to much inspiration, so much for every one of us to take home with us for now and for all time. About the Palmach, Pastor Chris said, "It also gets me thinking of what price many paid for the Gospel of Jesus Christ"
On the first day of the Holy Land Tour with Pastor Chris 2018, Pastor Chris, along with other tourists, visited the Palmach Museum; an experiential museum that relays the incredible story of the elite striking force of the Hagana - the underground military organization of the Jewish Community in Palestine, prior to the establishment of the State of Israel in 1948. Expounding on the compelling Story of Palmach, Pastor Chris highlighted what the young people did for the survival of Israel, tagging it as the same story of the Survival of the Church through several generations even unto this day. 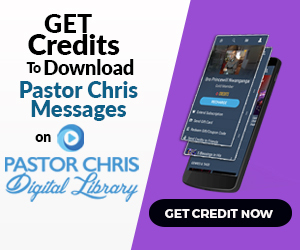 More so, Pastor Chris commended the efforts of past martyrs and gospel crusaders saying, "What we enjoy today is based on the lives of many others; those who dared to be different, to stand their ground, for a just course, a true course and a right direction. Watch this insightful video capturing the visit to the Palmach Museum. Amongst the sites visited in the significant tour of Isreal in 2018 tagged #HLT2018, are the Tomb of Lazarus from where the Lord Jesus commanded Lazarus out from death and the grave, and the ancient Migdal Synagogue- one of the oldest synagogues in Israel. The man of God Pastor Chris is seen in this video clip, with his retinue traversing the Holy Land, listening to the history of the sites as narrated by the tour guides, and relating to history, the Holy Scriptures which has come alive to all on the tour. “We are not pro-Israel, we are pro-Bible,” Pastor Benny Hinn says on interview with Pastor Chris. The man of God, Pastor Chris, carried out an insightful interview with the esteemed Pastor Benny Hinn on recent events with the movement of the United States Embassy in Israel from Tel Aviv to Jerusalem and its impact on Christians around the world and the Church of Jesus Christ. At the interview, Pastor Benny Hinn called Israel a trigger of remarkable events in the body of Christ and the world at large, referencing the changes that took place in both after the establishment of the State of Israel in 1948. Jerusalem Day, commemorating the declaration of the state of Israel on May 14th 1948, is celebrated annually. Notably, this year 2018 has now in history, the audacious move of the embassy of the United States from Tel Aviv to Jerusalem, as announced by President Donald Trump- the democratically elected leader of the United States of America. The events in Israel have been termed by the man of God Pastor Chris as “prophecy coming to pass right before our eyes!” acknowledging that, just as the Bible refers, not everyone would be in acceptance of this recognition of Jerusalem globally. “Remember, peace in Jerusalem is peace for the whole world,” Pastor Chris says. The featured video clip shows the BLW President amidst gleeful celebrations of Jerusalem Day in Israel, on the invitation of the Isreali Prime Minister, Benjamin Netanyahu. The Jewish community and the Christian fraternity came together in Harare, Zimbabwe, to commemorate the occasion of the formation of the state of Israel 70 years ago. The landmark occasion brought together the leadership of the Jewish and Christian brotherhood and various other well-wishers under the same roof as they were united in the purpose of celebrating God's chosen people. Among the invited guests were envoys of the Zonal Pastor of CE Southern Africa Zone 5, the Esteemed Pastor Ruth Musarurwa, who relished the moments of this remarkable achievement. The glorious occasion was marked with addresses by the leadership of the Jewish and Christian community in Zimbabwe, who delivered moving testimonials to the significance of the nation of Israel in modern times. To cap it all, the guests to the momentous occasion were treated to a banquet of feasting and merry making in a befitting tribute to the State of Israel. Featured in the showcased video are testimonials of the significance of the day's proceedings from representatives of the Jewish and Christian communities. The special service on the penultimate day of the most memorable tour in the year of the supernatural was indeed a time of heartfelt worship and uplifting revelations. Pastor Benny Hinn unveiled 7 keys for an effective prayer life — prayer that moves mountains. After a session of worship, led by LMAM artistes, Sophiya and Martin PK, the BLW President mounted the LIVE studio stage to introduce Pastor Benny Hinn, who ministered on ‘Prayer that Moves Mountains’ to millions participating from around the world. The Holy Land Tour with the man of God, Pastor Chris, was a lecture in the efficacy of God’s Word as the blessed ones, who believed without seeing, had their faith strengthened from one historic site to another. The BLW President brought inspiring thoughts and revelations from the tour to a global audience on a live broadcast. Delegates at the valedictory service of the program spent time worshipping and thanking the Lord for such a privilege. August Global Communion Service with Pastor Chris. 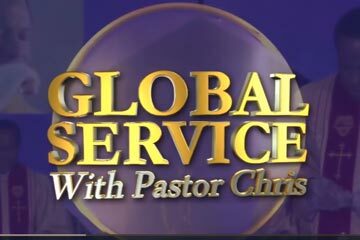 July Global Communion Service with Pastor Chris. International Cell Leaders Conference with Pastor Chris. June Global Communion service with Pastor Chris. Worship and Communion service Zimbabwe with Pastor Chris. International Loveworld Festival Of Music and Arts with Pastor Chris.